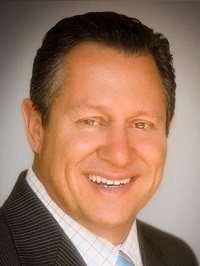 Gino Blefari is the chief executive officer of HSF Affiliates LLC, which operates Berkshire Hathaway HomeServices, and Real Living Real Estate. This year, Blefari was named No. 16 on the Swanepoel Power 200 list of the most powerful people in residential real estate; and No. 11 on the Swanepoel Power 200 Executives list. Prior to his arrival at HSF Affiliates LLC, Blefari was president, CEO and founder of Cupertino, CA-based Intero Real Estate Services, Inc. He led Intero from a startup organization in 2002 to one of the fastest organically growing companies in the history of real estate. In 2014, Intero ranked 7th nationwide for real estate sales volume, according to REAL Trends.